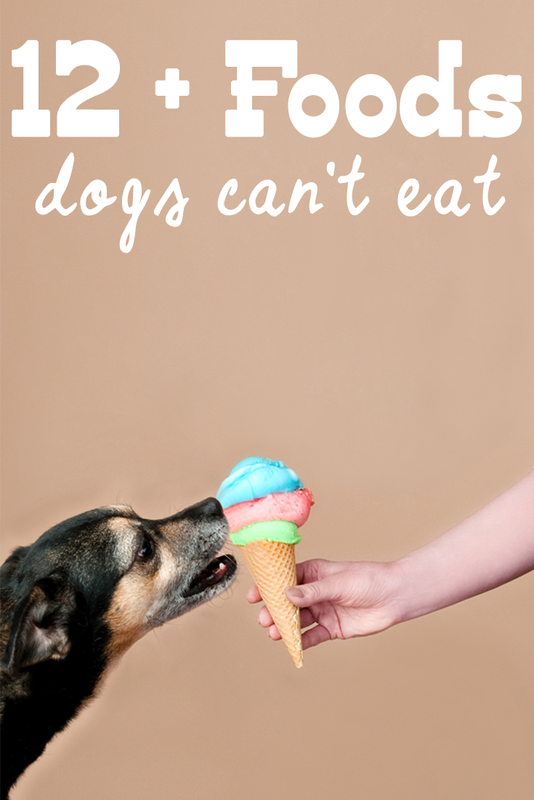 There are certain foods dogs can’t eat. No matter how cute we think it is to be sharing our food with them, your human food might actually be dangerous to dogs. Yes, it is super adorable when you feed your pup their first piece of cheese or something off your plate, but I’m hoping to that I can help you create a more lasting and healthy food relationship of what your dog can and can not actually eat without having any type of adverse side effects on their bodies. When looking for foods dogs can’t eat, there are some common sense tips that will make sense to everyone. We want to keep our dogs as healthy as possible, and by feeding your dogs certain types of human foods, you can actually be causing them more harm than good. Do you really want your fur baby to be in miserable pain…or possibly even die? It’s better to play it safe than sorry. Take a look at this list of foods dogs can’t eat, and it will make you more aware of how to keep your best friend’ stomach and body safe. Citrus food is one the top things of food dogs can’t eat. It might seem cute to feed your dog a slice or lemon, lime, orange, or other types of citrus fruit, but those are really bad for dog’s stomach. The acid from the fruits can cause chronic stomach cramps for them. However, in certain large doses, it can cause nervous system issues and create depression in them. Besides chocolate, which we will get to next, citrus stems, leaves, or fruit are one of the tops foods dogs can’t eat. If you value your dog’s life, please never let your dog eat chocolate. Your dog can eat the carob (fake chocolate), but chocolate is one of those extremely lethal foods dogs can’t eat. Chocolate contains methylxanthines. Chocolate contains caffeine and theobromine. Symptoms can range from dehydration, vomiting, diarrhea, to more extreme of heart attack, seizures, and more. It’s not worth that sweet treat. You can read more about methylxanthines on and it’s side effects on dogs. The article is so very thorough, and will give you a more indepth education about the chocolate ingestion in dogs topic that I can and what to do with your dog upon accidental ingestion. The article flows well, and is very easy to understand. If your dog does eat dairy products, it’s not a life or death situation. Not all dogs create the lactase enzyme that’s need to break down the lactose. A little bit here and there is fine in super small quantities, but do you really want your dog to suffer through stomach cramps, vomiting, dehydration, and horrible gas emissions? Macadamia nuts are extremely harmful to dogs. Scientists don’t know the very exact chemical compound in macadamia nuts that causes harmful side effects, here’s what could happen: tremors, vomiting, extreme diarrhea, depression, hypothermia, and strange incidence of not being able to walk. Their limbs become inactive, and they will walk in a wobbly “drunken” state, if they can walk at all. It can cause serious harm to their nervous system. Dog’s shouldn’t eat onions, garlic, chives, leeks, or anything else from the Allium family of plants. These types of plants create anemia in your dogs, and can certainly kill them. However, Garlic is considered the most danger to your dogs in the Allium family. Side effects, though sometimes can be seen in a delayed reaction, include: elevated heart rate, general weakness, pale gums, vomiting, and more. In the most severe cases of garlic ingestion, a blood transfusion is required. So, keep the garlic away! No. Dogs can’t eat almonds. The reason being is that almonds don’t digest properly in the dog’s stomach. Almonds are one top ten list of foods dogs can’t eat. Since almonds don’t digest, it can cause upset stomach, nausea, diarrhea, and this can lead to pancreatitis – which will lead your dog to being so miserable. The same goes for walnuts and pecans. They don’t digest in your dog’s stomach. It might sound like common sense, but when you see your sweet little fur baby giving you those, “I would love to eat all of that off your plate!” eyes while you’re eating cake or cookies, don’t give in…most especially if it was made with artificial sweetener of any sorts. Xylitol, the most common artificial sweetener, is the major culprit. It can release insulin into your dog’s system and can cause liver failure, which is the very last thing we would want to do our amazing little friends. Grapes and raisins are SUPER toxic to dogs, and rates up their with onions and chocolates in the list of foods dogs can’t eat. Why? It will make them extremely ill. The side effects of consumption range from everything of vomiting, lethargic, and even kidney failure. It may seem like a very innocent treat to give to your dog, but please don’t do it. What may seem harmless for them as a little sweet treat, really isn’t. The most obvious is the pit of the avocado. It’s very slippery because of the fatty oils it contains. It could accidentally slide down your dog’s throat and cause an intestinal blockage. However, the “meat” of the avocado is just as dangerous as it can put your dog into dire distress. Side effects include: breathing difficult, fluid build up in chest cavity, and extreme upset stomach. What’s healthy for humans is not always healthy for dogs. So keep those avocados away! The next one is going to actually explode your brain when I tell you what your dog’s shouldn’t eat…at all. Are you ready for it? Yes, you read that right! Right now, your mind is probably about to explode. Bacon is one of the most delicious foods dogs can’t eat. How could dogs not ever be able to have bacon? Well, let me explain why. Bacon is EXTREMELY RICH in fat. Because of this high fat content, it can lead your dog to have pancreatitis. Your dog’s pancreas will stop functioning properly because it has become so enflamed. Now you know why dog food manufacturers have created products like “Beggin’ Strips” (like fake chocolate) for your little fur babies to enjoy in moderation. I’m hoping that this is a more obvious statement, if not then here is your friendly reminder. Your dog should never consume any type of caffeine. It’ll cause them to vomit, have heart palpitations, or even a heart attack. They’re bodies are not meant to consume caffeine of any sorts. We all love our fur babies that come in different shapes and sizes, so it’s because we love them have to be very careful of what we feed them. Yes, they look adorable eating our food, but unfortunately their digestive system and bodies are so much different than ours are. It doesn’t mean that you can’t share of your food with them, just be sure to stay away from these that I mentioned to you. No worries, you can still feed your pup peanut butter. It’s actually really great for them! I did not know there were so many foods that were bad for dogs! Thank you for the info. I had no idea that dogs cannot eat citrus fruits! I used to give my dog orange slices and wish I would have known. This is so valuable. There is is so much guesswork and so many wivestales about what dogs can and cannot eat. This information is so great. We’re thinking about getting a new puppy and this is a great learning experience! This is so much valued information. I will definitely share this for my friends and family. I am so shocked to read about bacon.. dogs literally LOVE bacon, as stated. So glad I came across this article! This was a great post. I was unaware that dogs shouldn’t eat several things on the list. Very interesting!! Some of these I knew but some I had no idea!! Like Macadamia nuts!! That one surprised me!! I definitely wasn’t aware of these foods that aren’t good for dogs. I just watched one of the vet shows on cable and a dog came in because it ate a rock. The dog had to have surgery. I only knew about the chocolate not any of the other foods. Very informative. When I had a dog, she never got people food. Now I know what not to give any dog. I am surprised about the bacon. Thanks for this! That one about bacon surprised me! I had no idea about some of these! Thanks for sharing! Thank you so much for the information. While I knew about several of these foods I had never heard that dogs should not eat bacon. My husband and I give our dog bacon and had no idea it was bad for her. Good to know .. I’m sharing this with my sister. She has a dog. This is good information, and I’m surprised I don’t see this more often. I don’t have a dog right now, but am planning on getting one when I move. So in the meanwhile, I’m “boning” up on learning do’s and don’ts! I knew a few of these, but didn’t know all of them. I’ve never heard of the grapes one. This is good info to know if you have a dog. Some I know, some I do, thanks for this knowledgeable post.